As the Accessory Fair opens on this beautiful Saturday morning, I am thrilled to be featuring the Hera Earrings and Cocktail Ring from Abraxxa Anatine of EarthStones. I remember some several months back that she told me she was going to do something really crazy, that she always wanted to do. Abraxxa is one of those who doesn’t give hints, though, so it was not until she finished the ring that she shared the story of seeing this amazing ring that she fell in love with and lusted for. Like most of us, though, the $26,000 price tag made her jaw drop and made that dream unattainable – until she decided to make it for herself in Second Life®. Luckily for all of us, she has also made matching earrings and not only are these gorgeous, extraordinarily detailed masterpieces available they are not $26,000 or even 26,000 lindens. As you can see, the pieces consist of five constellations of diamonds around a central clusters of gems and inner suns of citrines and topaz – a veritable cluster of solar systems – an entire universe to adorn yourself. Jewelry this luscious demands an extraordinary dress. I purchased Dietrich from Azul a few months ago and have dithered, waiting for the right occasion to wear this most elegant of gowns. This is Old Hollywood glamour – something worn by the Queens of Glamour Marlene Dietrich or Lauren Bacall. The beautiful topaz color complements the jewelry perfectly – or vice versa depending on what you put on first. The dress comes with a fur stole. Mami Jewell avoids the usual fur stole and dress complications by making sleeve prims with and without the stole for a perfect look. 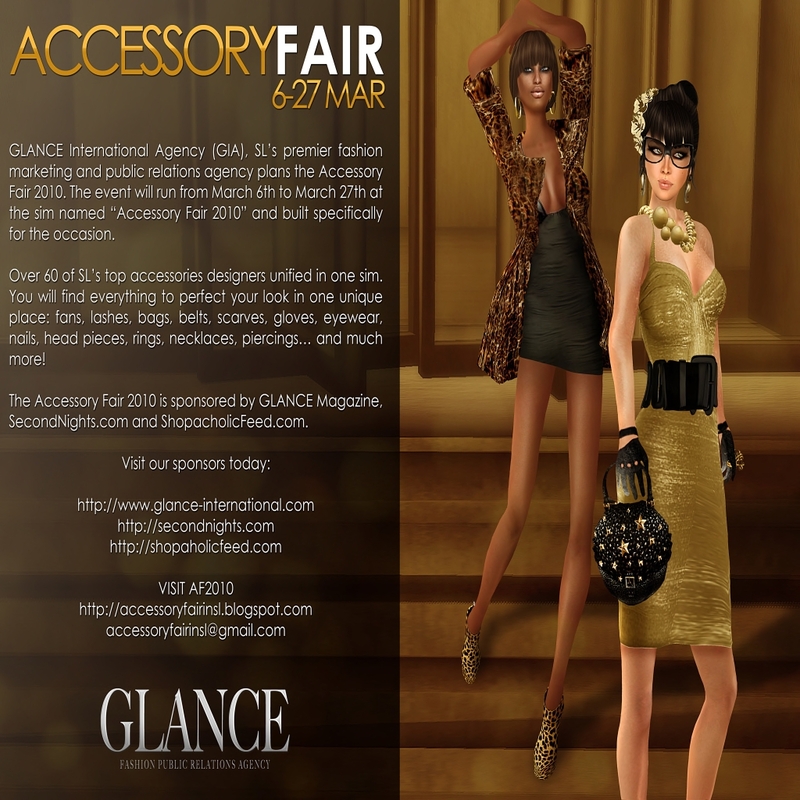 This entry was posted in Expos, Fairs and Fundraisers, Second Life and tagged ~Flirt~, Accessory Fair, Azul, Belleza, Detour, Earthstones, fascino, Reel Expression, Torridwear on March 6, 2010 by Cajsa Lilliehook. These pics are absolutely stunning. Thank you so much, Feles!